It has been almost 3 years since I last visited Rice & Fries at Changi Road. In this competitive F&B scene, I have seen so many restaurants come and go. I am glad that Chef Ken and his team are still hanging around, delicately dishing out delicious food to their customers. This time I am back again to check out their new menu. The Spam Bots ($9.80) is probably the best spam fries I have tried. What I like about the luncheon meat frites is the crispy exterior while the innard still retain the moist texture, unlike most places that deep fried everything to a dry almost crispy texture. It also comes with a salt egg yolk dip that made it even more addictive. 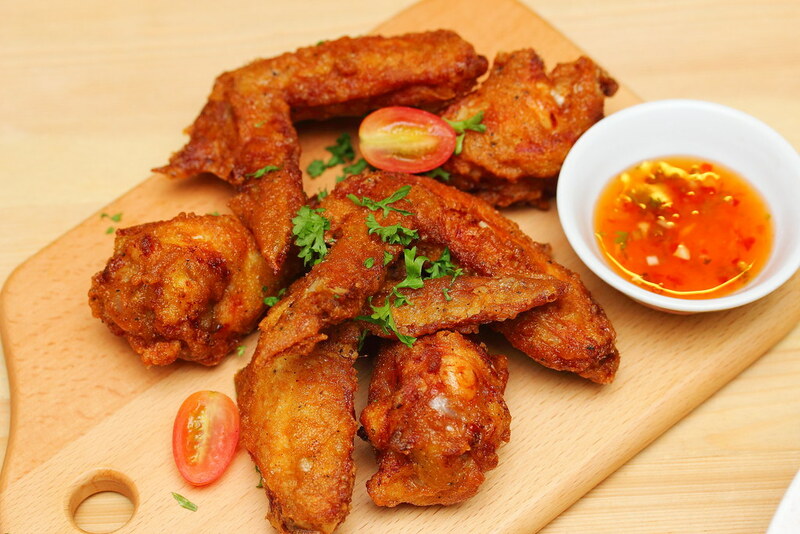 Another great snack bite is the Chicken Wings ($6.80 for 2pc). 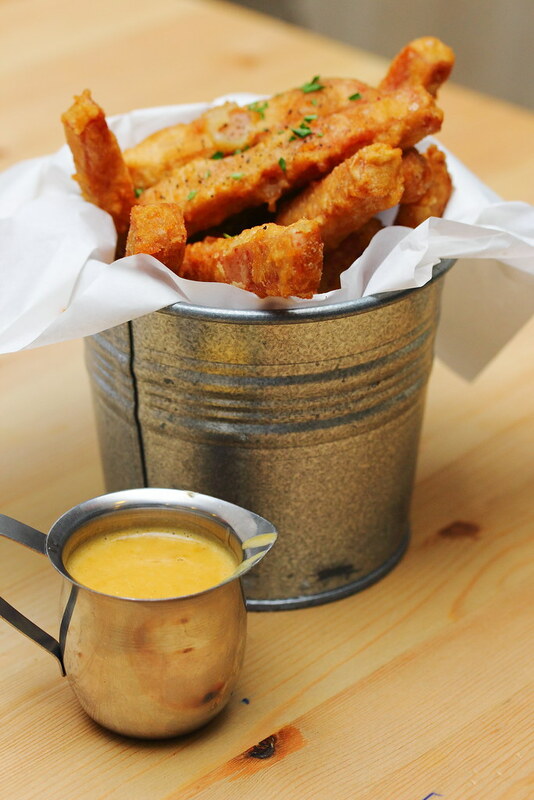 Deep fried to crispy with juicy interior, this is a delectable starter for sharing. 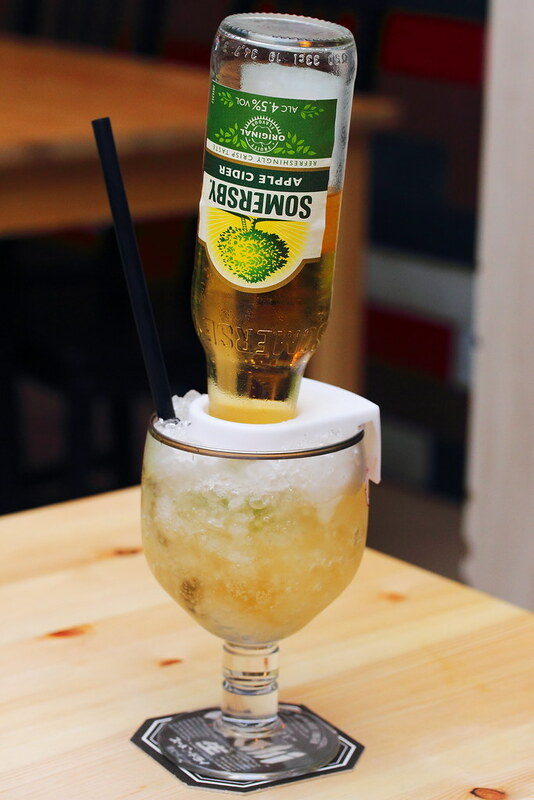 The ice cold Somersby Apple Cider which is light and refreshing, is perfect to go with the spam bots and chicken wings. Rice & Fries also serve it in an interesting way, instead of just drinking it straight from the bottom. The bottle is inverted and dunk into a glass of ice of a cool enjoyment. On the new revamped menu, we tried both the French Onion Soup ($6.80) and Lobster Bisque ($12.80). Quite a well executed dish whereby I can taste the rich beef broth together with the sweetness of the carmalized onions coming together. 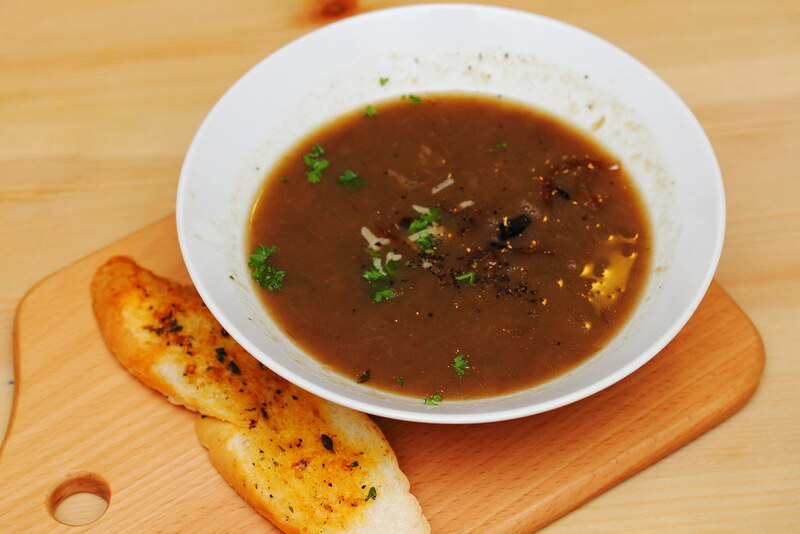 Instead of the toasted garlic bread at the side, it will be even better if the french onion soup is topped with crouton and cheese. 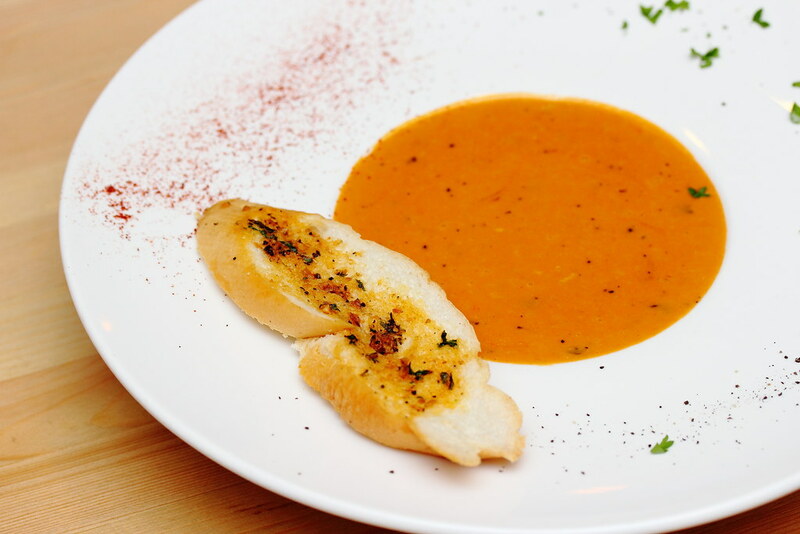 The Lobster Bisque ($12.8) comes in a gorgeous thick and creamy lobster seafood bisque with crab meat, served with a toasted garlic bread. I enjoyed the bowl of soup but I thought it leaned more towards a seafood soup rather than a lobster bisque. Hence I think the dish name was a bit misleading until I read the description in details. 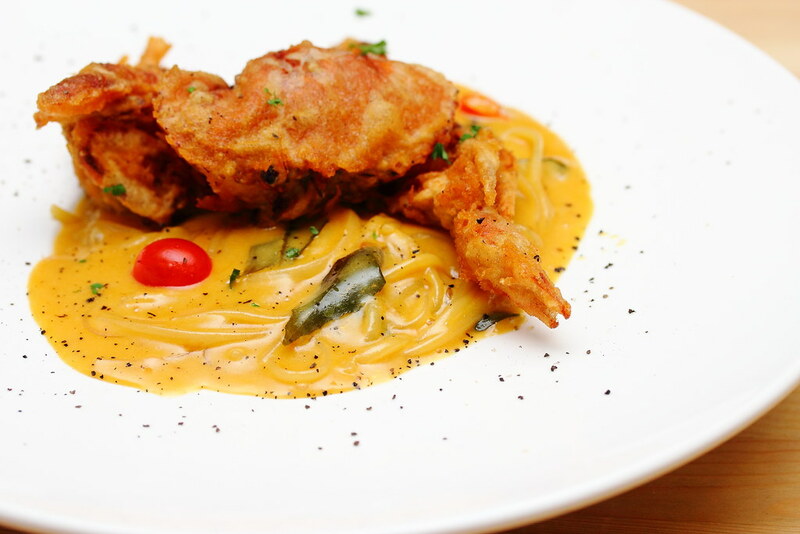 One of the bestseller at Rice & Fries is the Salted Egg Yolk Pasta ($19.80) topped with a deep fried soft shell crab. The version at Rice & Fries is rich, intense and creamier, coating every stand of the pasta. 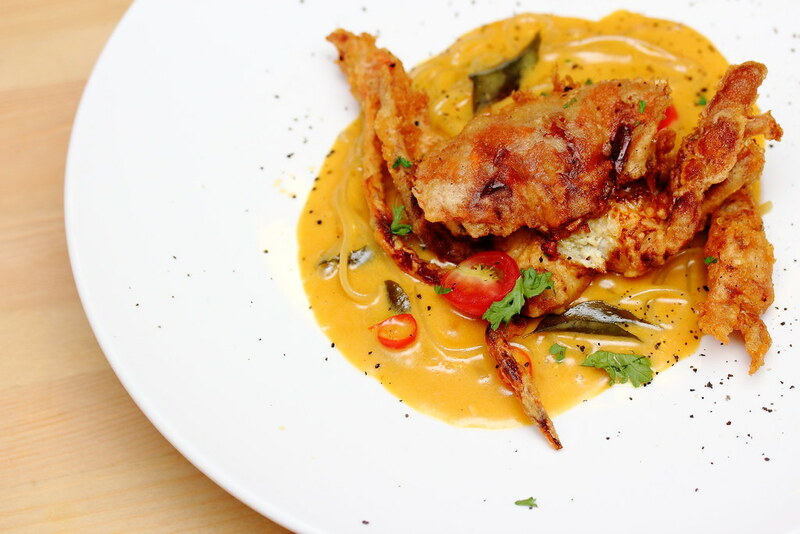 On top of that, the used of curry leaves lifted the flavour, giving it an extra oomph. 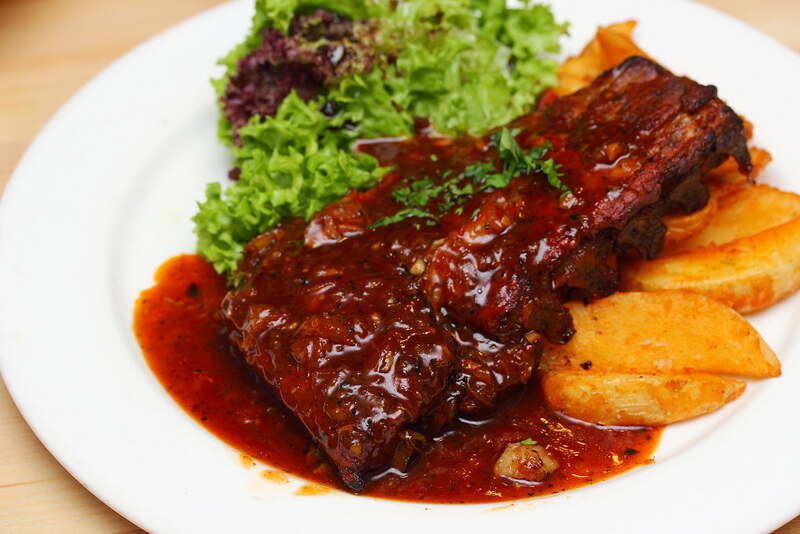 The BBQ Pork Ribs ($22.80) is one dish that we have mixed options. The rack of ribs was cooked to a nice tender, falling off the bone with ease. The meat also comes with a hint of smokiness. I find that the sweet house special bbq sauce enhances the whole enjoyment of the dish but my dining partner feels that it is too sweet. That's why taste is always subjective. You can't satisfy everyone's palate. Among the mains I tried. The Crab & Lobster Risotto ($21.80) is probably my favourite. The risotto is cooked to an enjoyable grainy bite texture which is how I like it. 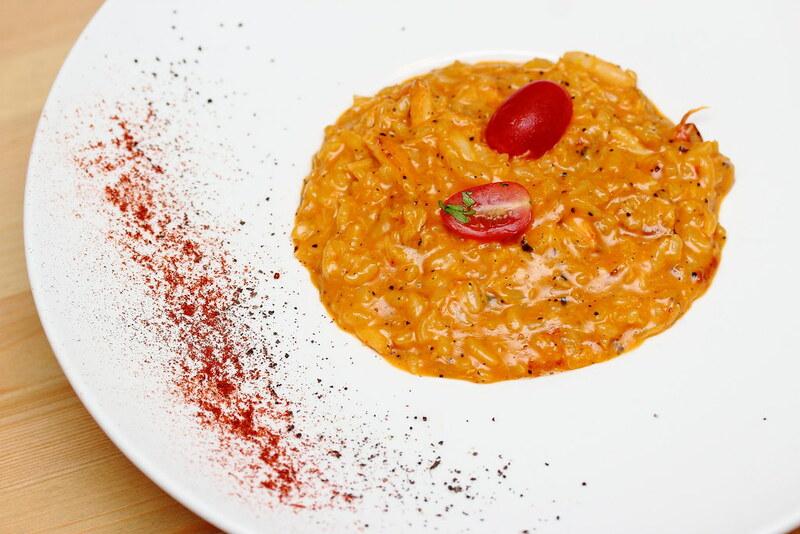 The risotto is also well infused with the rich and intense lobster bisque, packed with generous serving of crab meat. 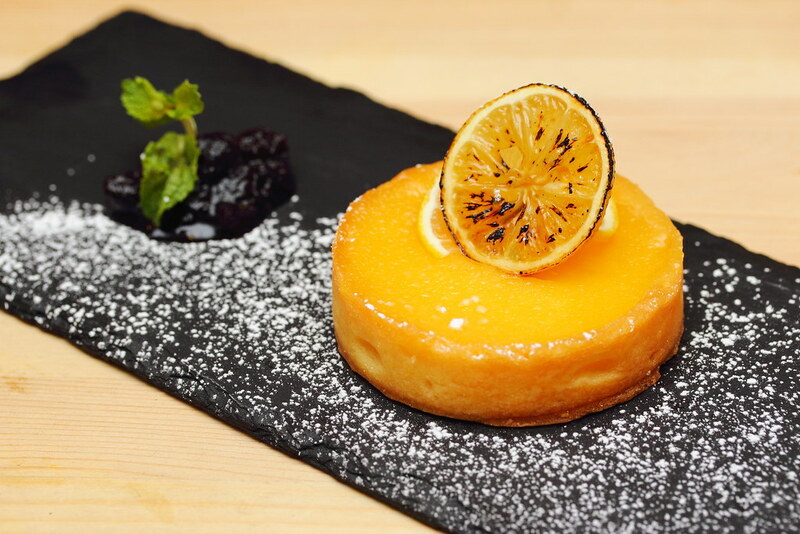 Wrapping up the dinner, we have the Lemon Tart ($6.80) and Dark Chocolate Lava Cake ($9.80). The pastry case of the lemon tart was a little under baked during our visit. It did not have the biscuity texture. Nevertheless, the lemon custard is well balanced, not overly sour which at time can be quite unpalatable. 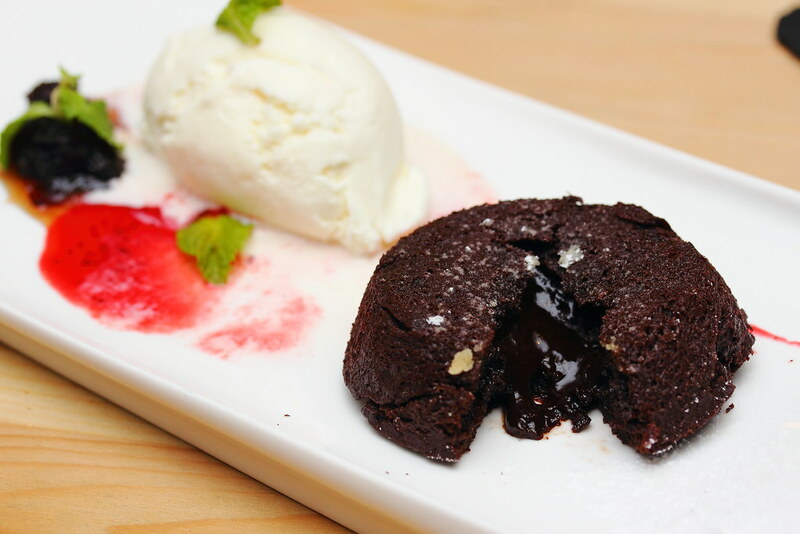 The Dark Chocolate Lava Cake ($9.80) with vanilla ice cream fares better than the lemon tart. The warm molten lava cake has a crusty surface that adds a layer of texture enjoyment amid the chocolate lava centre and moist body. Overall, I have enjoyed my meal at Rice & Fries. It is great to come back to a restaurant to know that they have kept their passion, consistency and quality in dishing our beautiful food to their customers. For people living in the Kembangan area, I envy you for having such a good neighbourhood restaurant in your vicinity.